Mankowski is an Active Spot! 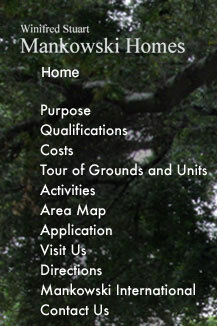 Click on or symbols on the left or right sides within this grey area to see some of the activities at Mankowski Homes. Mankowski is located in Los Angeles County about 14 miles east of Pasadena. We have a good freeway system, and The Gold Line train from Los Angeles to San Bernardino is under construction. The Azusa-Citrus station, a couple blocks north of our property, is expected to be completed soon. Daily walking is necessary to get mail, go to the free laundry, to get your car or connect with the Mankowski vans. Lovely weather year-round makes walking a pleasure—either in the college communities next door, to nearby stores, movies and restaurants, or in the foothills. Our two vans take residents to local church services and meetings, grocery stores, banks and post offices, libraries and shopping malls, big box stores, and Glendora Avenue. 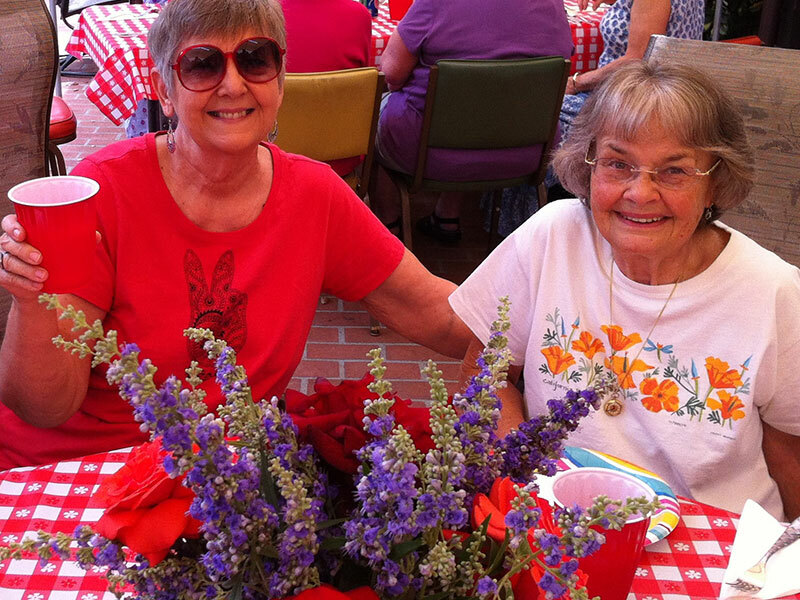 Monthly our activities director schedules a variety of lectures, concerts, theater productions, and lunches out. Everyone is welcome to use the van transportation offered. Special van trips are also scheduled to local attractions, such as the Norton Simon Museum and other attractions in Pasadena, the Huntington Library and Gardens, the Nixon Library, and the Sam Maloof Home and Workshop, to name a few. Also nearby are Disneyland, the Getty, Knotts Berry Farm, Universal Studios. Two colleges are located on Citrus Avenue. Citrus Community College offers academic classes, as well as music, choir, dancing, golf, swimming, and tennis. Some residents and staff take undergraduate or graduate courses at Azusa Pacific University. And both schools provide fine concerts and plays at reasonable prices. We have the Bound Volumes, Bible study tools, and access to JSH Online in our living room. The activities room is graced with a 1931 Steinway and large screen TV with cable programming, including movie channels. Hundreds of movies on DVD are available to watch or check out for home viewing. There are more activities, but it’s good to remember that you pick and choose the ones that fit your preferences and schedule.